A Farewell from the Land Down Under. G’day Zoners and welcome to my final goodbye post here at NFZ. 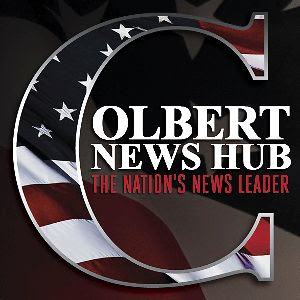 Before I get on to sharing a few of my favourite clips with you, I thought I would first share with you how I first became a fan of Stephen and “The Colbert Report”, and how I first managed to come across “No Fact Zone”. G’day Zoners! I hope you are all enjoying your nice warm spring weather. Winter appears to have come early down in Aus, we are all freezing to death and it’ still only Autumn. Enough about the weather and onto this weeks Six Degrees round-up. This week Ed Helms hosts SNL, Demetri Martin has a new book out, Josh Gad receives a Tony nomination, Kevin Bleyer has been revealed as the writer who helped President Obama pen is WHCD speech, and New York Magazine goes inside Amy Sedaris’ New York City apartment. Six Degrees: Easter Break Edition. G’day Zoners! I hope you have all had a wonderful Easter break. I’ve spent my much needed week of Uni eating far too much chocoloate, and compilling the latest round-up of Six Degrees news. This week Jon Stewart will again be performing in the Story Pirates benefit, Mark Malkoff races a NYC bus, Aasif Mandvi pen a book of semi autobiographical essys, Ed Helms is set to guest host “SNL”, Samantha Bee will co-host the 2011 Lucille Lortel Awards, “Wyatt Cenac: Comedy Person” debuts on Comedy Central, and Conan O’Brien is a guest on “WTF with Marc Maron”. G’day Zoners! I hope your all enjoying April Fool’s Day, and more importantly brushing up on your “Friday” lyrics so you can all sing-a-long with Stephen tonight. As much as I loathe that song I really hope Stephen can put the TGI back in Friday. It was once my favourite day of the week, before that song came along. But I digress.This week in Six Degrees News Jon Stewart makes a cameo in “The Adjustment Bureau”, Jason Jones is co-starring in a new CBS comedy pilot, Lewis Black stopped by “The Late Late Show”, Mark Malkoff will be a guest on “Beer Diplomacy”, Amy Sedaris has a new iPad App, Conan talks about “Conan O’Brian Can’t Stop” and Movits! are touring Canada and The US. Follow the No Fact Zone Tumblr blog for live coverage of the Comedy Central 2011 Comedy Awards tonight! Six Degrees: Brain Freeze Edition. G’day Zoners! I don’t know about you, but I am still stuck in a post Ben & Jerry’s brain freeze of joy. Only Stephen could make chocolate coated potato chips and salty caramel swirl sound tasty. But I digress. In this week’s Six Degrees round-up “Earth (The Audio Book)” receives more award nominations, Kristen Schaal features in a new “The National” film clip, Jimmy Fallon appears at The Paley Center, Allison Silverman appears on “This American Life”, and Conan O’Brien, Jon Stewart and Lewis Black are to be featured in Comedy Central’s tribute to the late Greg Giraldo. G’day Zoners! I hope you’ve all had a good week, I’ve spent my final week of freedom before the new Uni year starts by relaxing and admiring Stephen’s new “Project Magazine” cover (so much less scary than the alternate version!! ), and to help you all relax, I’ve got the latest round up of Six Degrees news. This week Jon Stewart, Lewis Black and John Legend add Grammy’s to their trophy cabinets, John Oliver has a special edition of his “New York Stand-Up Show”, Allison Silverman’s new series has been picked up for a second season, and Movits! and The Moutain Goats have a new albums on the way.